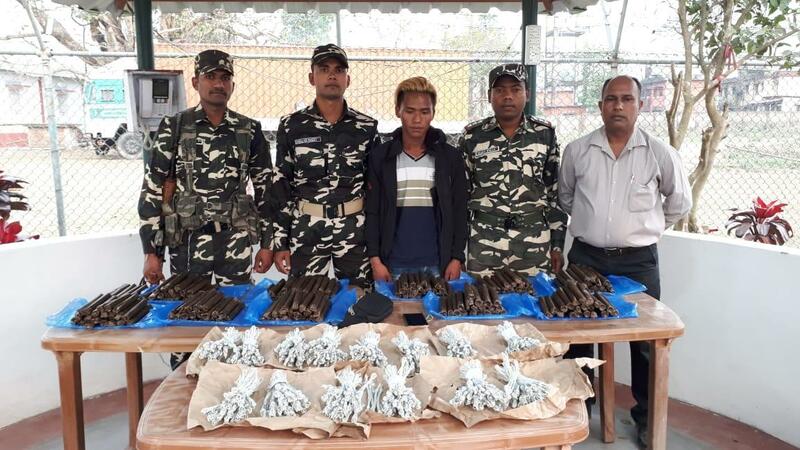 Siliguri (West Bengal) [India] Mar 23 (ANI): Sashastra Seema Bal (SSB) nabbed one person and seized large quantities of explosive materials from his possession on Saturday. Bahraich (Uttar Pradesh) [India], Mar 16 (ANI): 42nd Battalion of Sashastra Seema Bal (SSB) on Saturday apprehended a for smuggling Indian currency notes across the India-Nepal border. 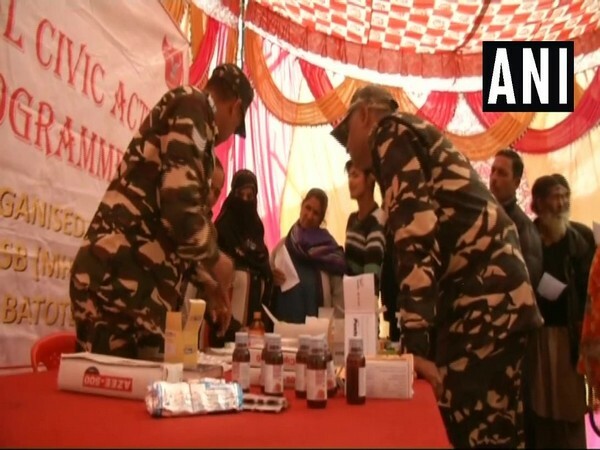 Doda (Jammu and Kashmir) [India], Mar 15 (ANI): Hundreds of people from far-flung areas reached the free medical camp organised by Sashastra Seema Bal (SSB) as part of their 'Medical Civic Action Programme' in Khellani village in Jammu and Kashmir's Doda district. 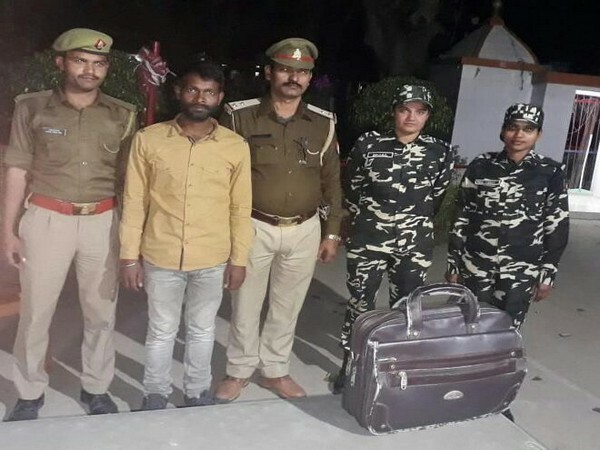 Bahraich (Uttar Pradesh) Feb 6 (ANI): A Nepali national was arrested for allegedly carrying 39 grams of morphine by the Sashastra Seema Bal (SSB) near Indo-Nepal border in Bahraich, Uttar Pradesh. Cachar (Assam), Nov 4 (ANI): The Sashastra Seema Bal (SSB) troopers on Saturday recovered a huge cache of arms and ammunition from the Cachar district of Assam. New Delhi [India], Oct. 31 (ANI): Senior Indian Police Service (IPS) officer SS Deswal has been appointed as the Director General of Indo-Tibetan Border Police (ITBP). Dumka (Jharkhand) [India], July 29 (ANI): At least two Naxals were gunned down by the security forces in Jharkhand's Dumka district on Sunday. Kanker (Chhattisgarh) [India], Jan 27 (ANI): The Sashastra Seema Bal (SSB) of 28 Battalion on Saturday organised a Cultural program in a Naxal prone area Antagarh located in the Kanker district of Chhattisgarh under civic action program. 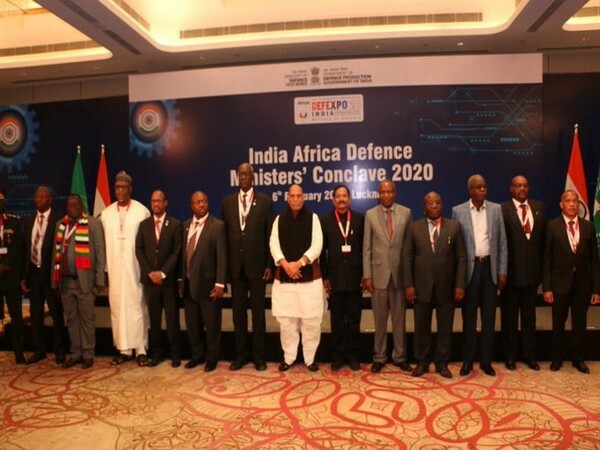 New Delhi [India], Dec 23 (ANI): Union Home Minister Rajnath Singh on Saturday hailed the Sashastra Seema Bal (SSB) as the second largest border guarding force.